a step-by- step journal that will guide you along your wellness/health journey. 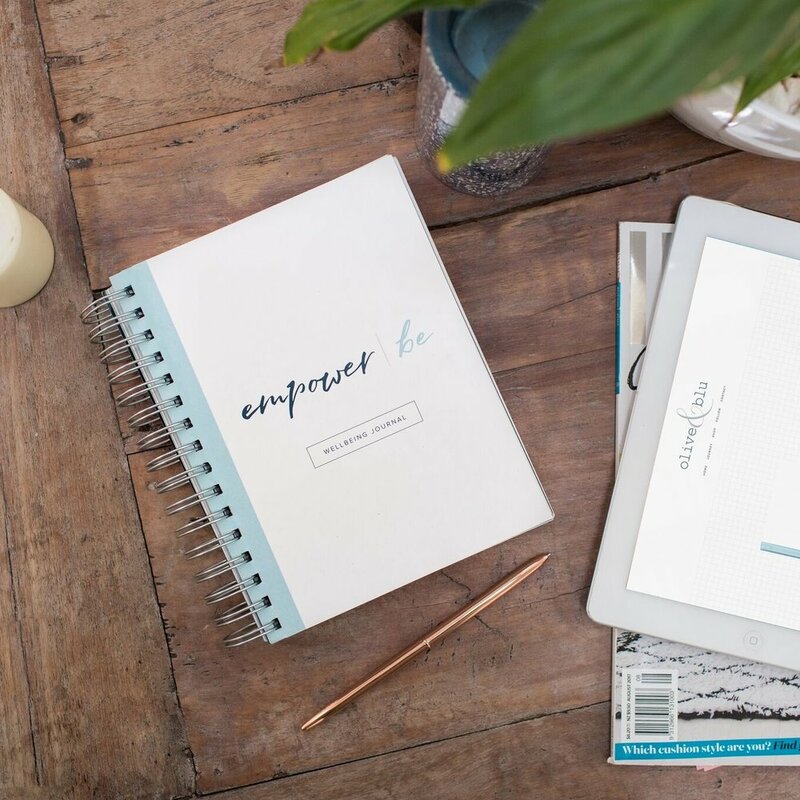 Empower | Be is your six-week journal will help you reconnect with yourself, establish your goals and motivate you to build healthier habits. Allow two-weeks to move through Empower, Inspire and Motivate to prepare your mindset before committing to the four-week My Journey. My Journey is where you take positive steps each day towards reaching your goals. Take a step back, reflect on yourself and outline what is important to you. The Empower section is all about you, to create a mindset in line with your values, what you hold to be true and appreciating who you are in this moment. Reflect on your excuses and limitations so they are easily recognised and understood. This allows you to acknowledge them when they appear and gives you the opportunity to choose differently, shifting your focus. Finally, create your vibe to visualise what you would like to try and achieve as you move through this journal. In the Inspire section, find quotes and words which lift and energise you. Acknowledge and appreciate the people who support you. Allow them to be there for you and inspire you throughout your journey. Finally, use this section to take notes to expand your mind and knowledge. By discovering and learning you continue to grow and find inspiration from within. Motivate is where you set your main goal for the next four weeks. Identify the habits you want to develop to make positive changes in your life. Log your progress and use the habit tracker to keep you accountable and motivated. Use this week to become aware of how you nourish and move your body at this time, helping you to be mindful for the upcoming weeks. - Finish, each week with a weekly reflection.